The UNHCR has launched the Entry level Humanitarian Professional Programme (EHP). Dedicated to professionals under 40 who are passionate about humanitarian work. The EHP will be used to identify and train qualified and motivated individuals who will then be deployed to locations where they are needed most. 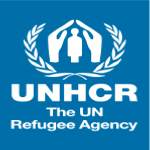 Interested in starting a career at the UNHCR? Read the criteria of eligibility for the programme here and join them at the Global Careers Fair on 22-23 October.